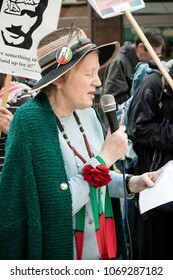 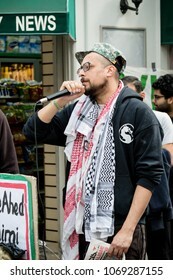 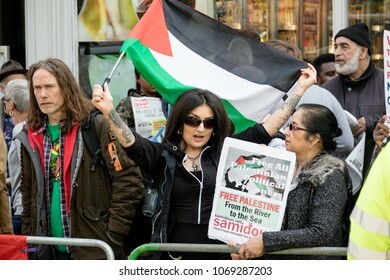 London, United Kingdom, 14th April 2018:- Protesters gather along Kensington High Street, near the Israeli Embassy in London to protest the ongoing occupation of Palestine. 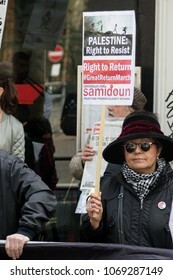 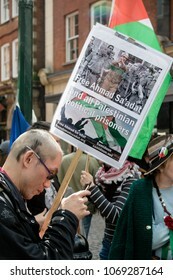 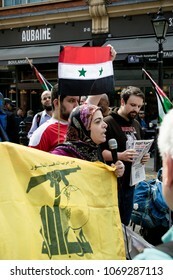 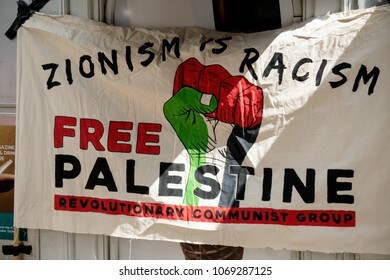 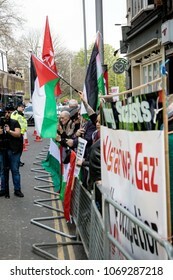 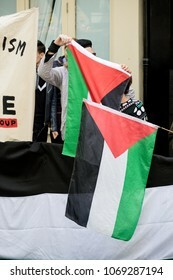 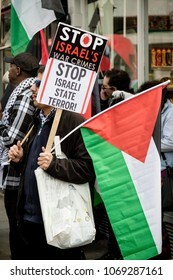 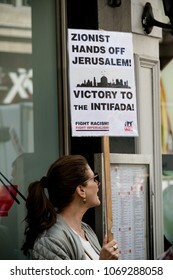 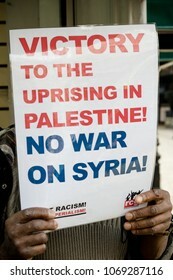 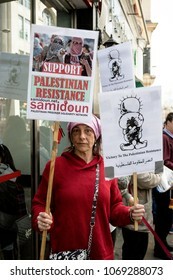 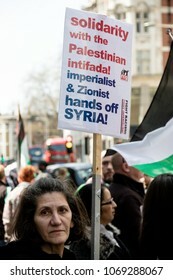 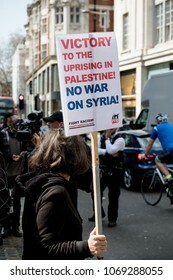 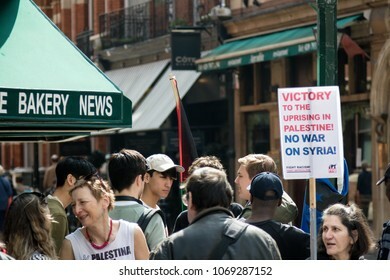 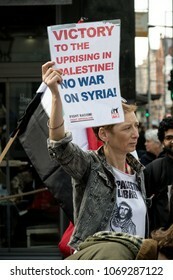 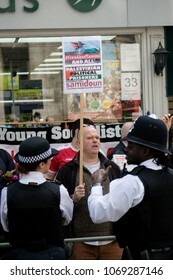 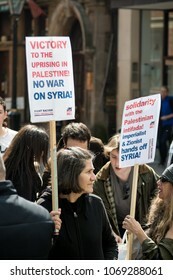 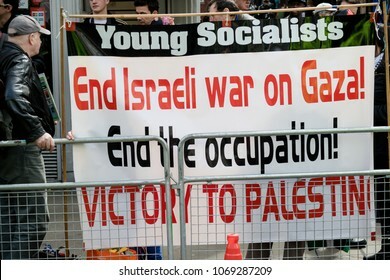 London, United Kingdom, 14th April 2018:- Banner at a gathering of protesters along Kensington High Street, near the Israeli Embassy in London to protest the ongoing occupation of Palestine. 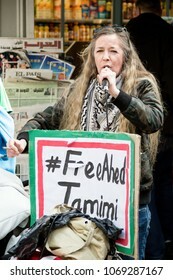 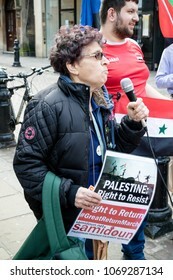 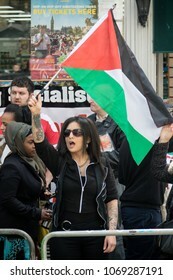 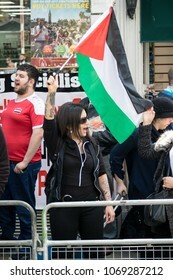 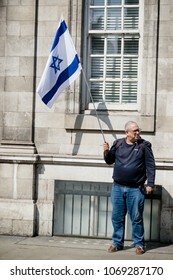 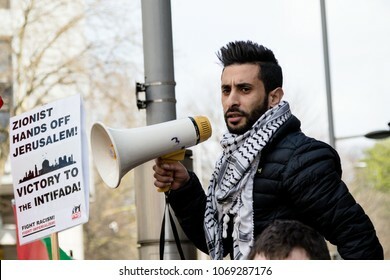 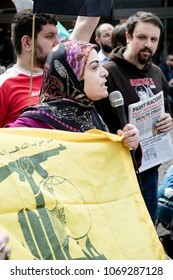 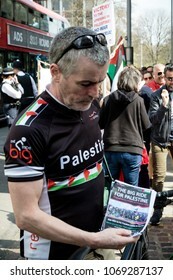 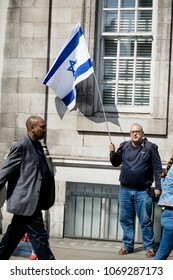 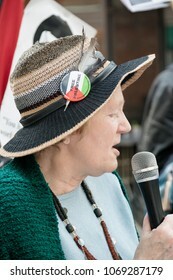 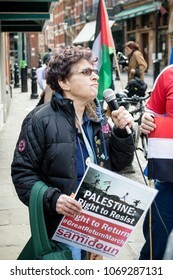 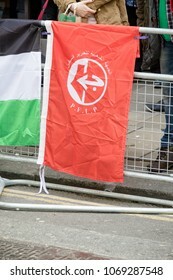 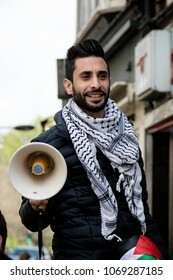 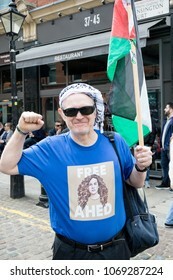 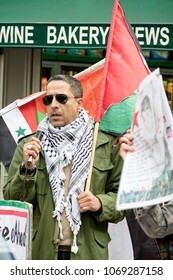 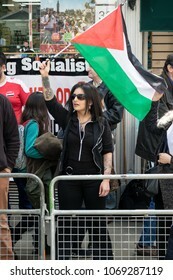 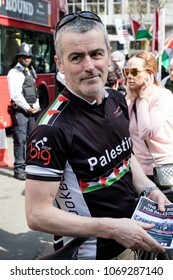 London, United Kingdom, 14th April 2018:- A lone Pro Israel protester opposite a gathering of pro Palestine protesters, near the Israeli Embassy in London. 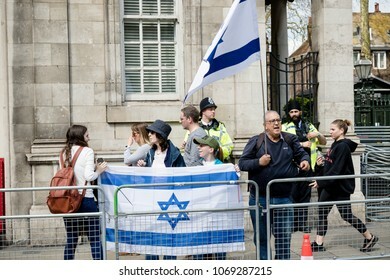 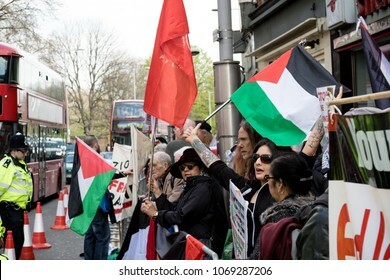 London, United Kingdom, 14th April 2018:- A group of Pro Israel protester opposite a gathering of pro Palestine protesters, near the Israeli Embassy in London. 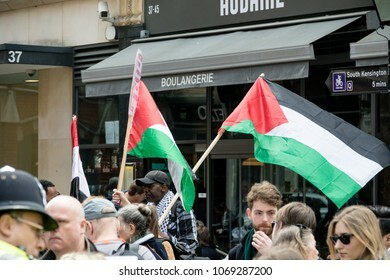 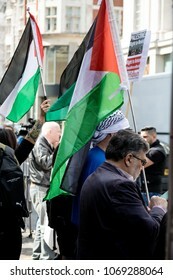 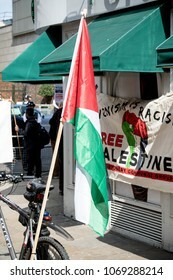 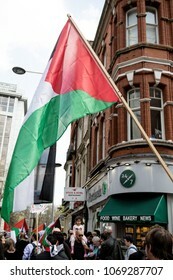 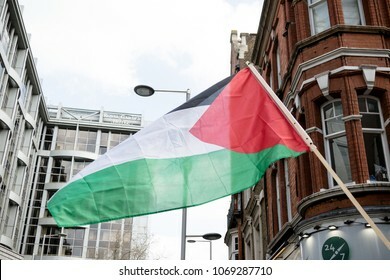 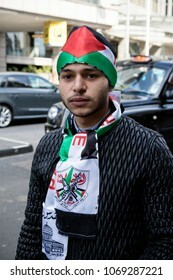 London, United Kingdom, 14th April 2018:- The flag of Palestine at a gathering of protesters along Kensington High Street, near the Israeli Embassy in London to protest the occupation of Palestine.